*This post is not sponsored by Dorothy Perkins – I am just a big fan of their brand & wanted to share these great finds with you! Oh I love the second and fourth one in the top row.. I will definitely be checking these out! OK….why would you do this to me? I think I need one of each! Seriously…I REEEEALLY want five of them. CUTE CUTE CUTE. What a beautiful selection you have picked out for fall. Obsessed with that last pair! Doesn't say if they are man made or leather though, hmm. Oh and you get 25% off right now when you sign up! I adore those cut out boots. What is their quality like? 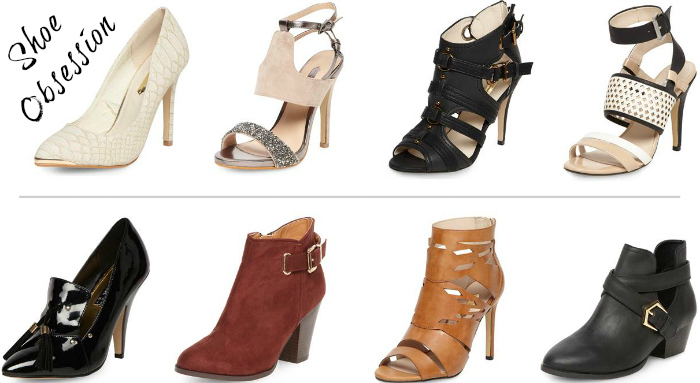 There is not a single shoe in this roundup I wouldn't wear. They're all so amazing!! I think I need those glittery ones in my lifeeeeeee! Loooooving those tan heels, so cute! I always forget that they have shoes! These are all so cute! 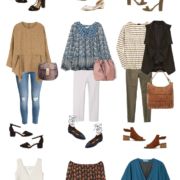 Love them all-perfect for fall!! love the black cutouts–and the price!!! so great! Loving all these picks! Sometimes I feel like I need a different closet just to hold all of my shoes! Wishing I could add some of these to the collection too! Love these! The tassel heeled loafers are so fun – perfect for work and during the fall. Love all of them. I only recently discovered the brand, but I like a lot of their stuff!